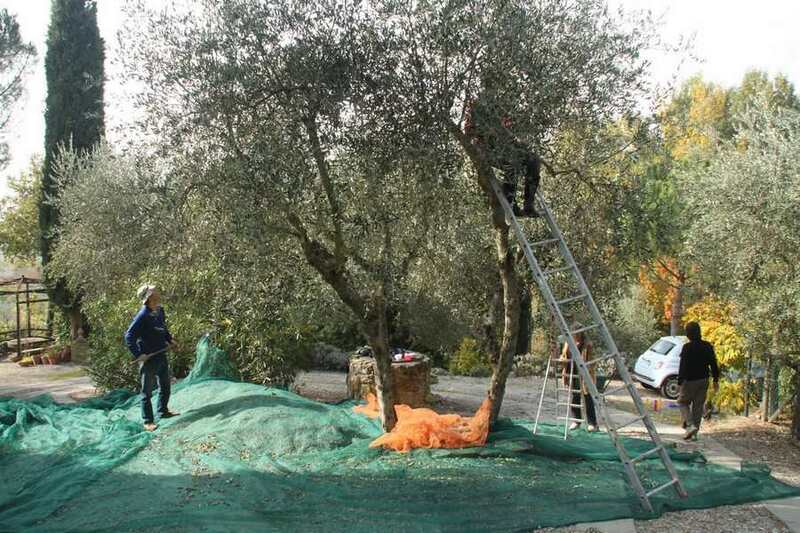 Olive picking in Tuscany has been the high point before Christmas. It happens in Keats’s ‘Season of mellow fruitfulness’ before the trees are bare and the earth hardened by frost. Or so it used to be. The persimmon tree in front of the house was laden with orange fruit, in texture like a cross between a tomato and a peach, and leaves to match veined with crimson. Pomegranates were splitting open to show red seeds like teeth, the small pointed leaves bright yellow, all against a symphony of evergreens, from laurel to holm oak, cypresses to umbrella pines and olives shimmering. Not an olive on them. We gather a small group of family and friends every year to have fun together picking the olives off twenty-five trees. I once thought that the way people raved about the taste of freshly pressed olive oil, so ‘extra virgin’, was a foodie fad. I’m converted. Ours was sampled ceremoniously on toasted rough Tuscan bread, before we had our celebratory supper. Last year the oil was peppery and unforgettable. This year…? Nothing. Maggots had eaten the crop in Tuscany and beyond. Flies that are normally killed off by the frost had prospered in a mild winter. The olives flowered but there was too much rain and a bad year anyway. When the olives grew plump the flies laid the eggs. White maggots had many a good meal during the damp summer and by the autumn the Tuscan olive harvest was rotting on the ground. It had not ever happened in living memory. The most ancient inhabitants had never seen the like, or even heard their parents or grandparents speaking of such a calamity. The culprit – climate change, of course. Tuscan oil is said to be the best. 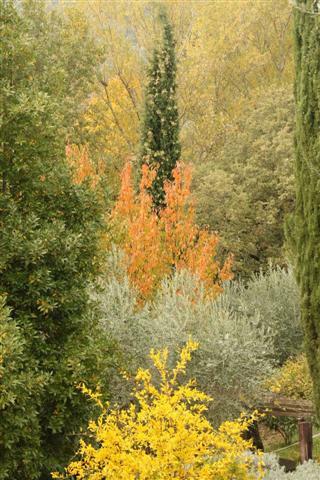 Plants in warmer belts are sprayed to kill the flies, but Tuscan olives are uncontaminated because it is cold enough in winter to kill off the flies. Not so now. Normally voices of groups of pickers animate the countryside. This year it was sadly silent. Rumour has it that Italian producers, even the government, will import oil from sprayed trees, Greek or Spanish, and label it as Tuscan. We bought extra virgin oil ‘from European countries’. Instead of a celebration we had an ‘olive wake’, after the death of the Tuscan harvest. It was a good meal of fine beef roasted on our open fire, but without the joy of the first taste of the virgin olive oil. Next year? We are all hoping for winter frost. What a tragedy. May next year be better.